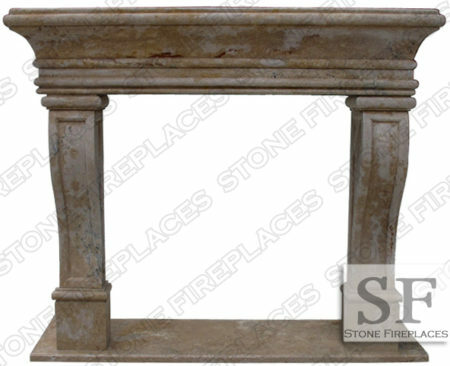 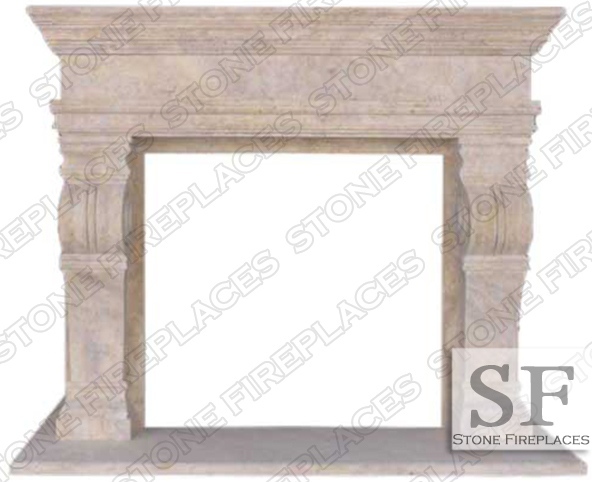 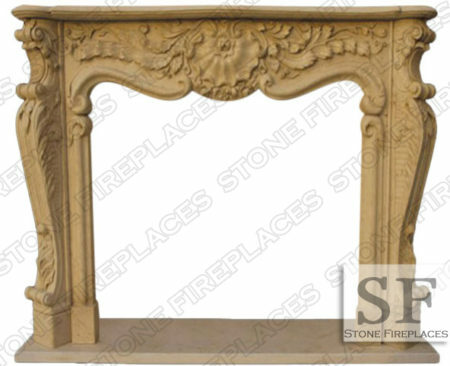 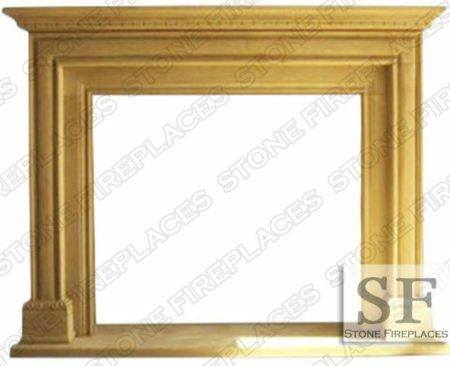 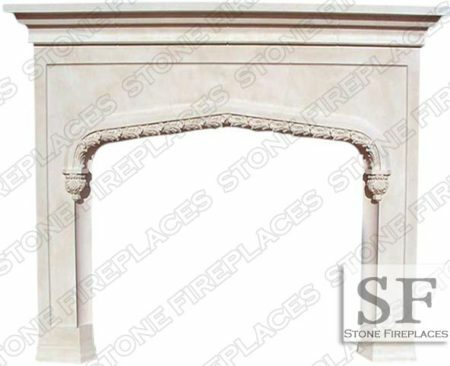 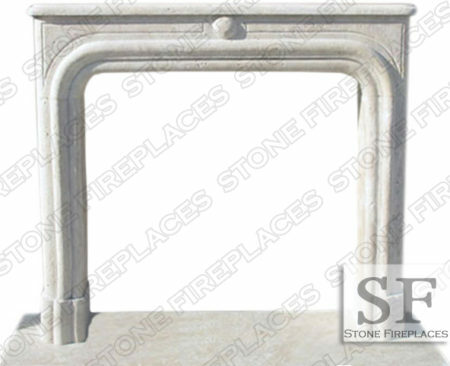 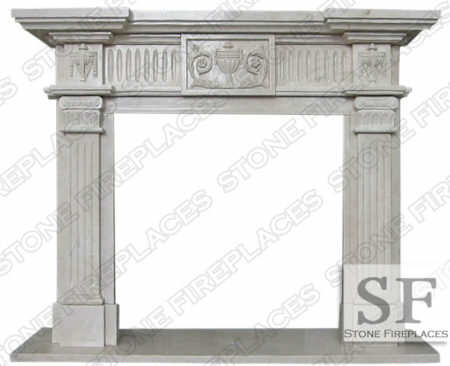 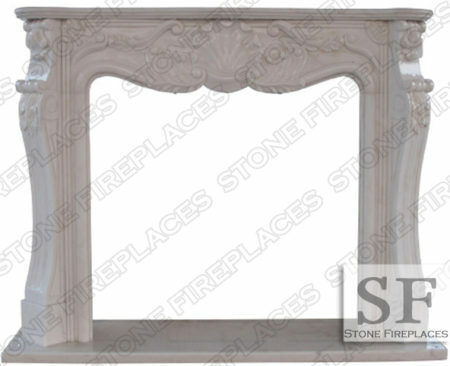 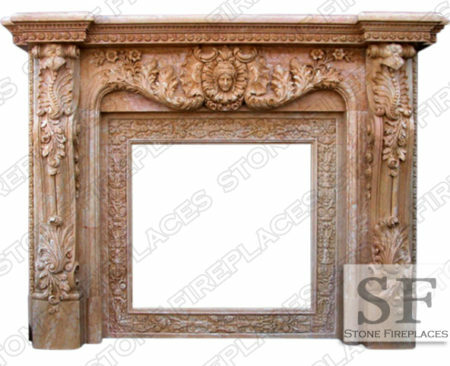 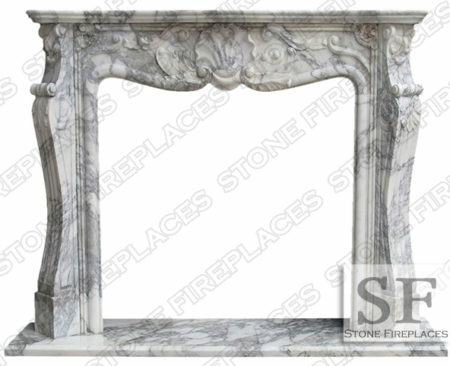 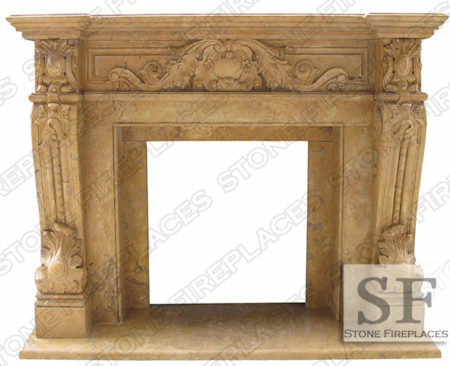 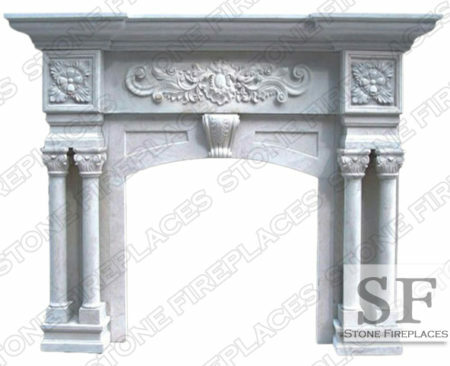 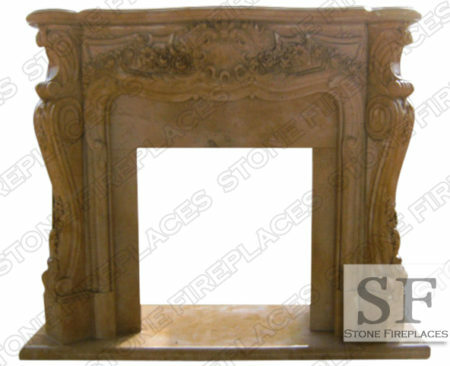 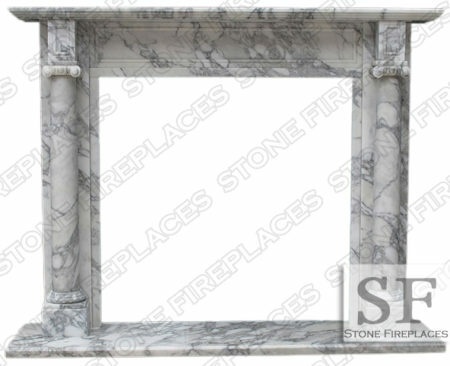 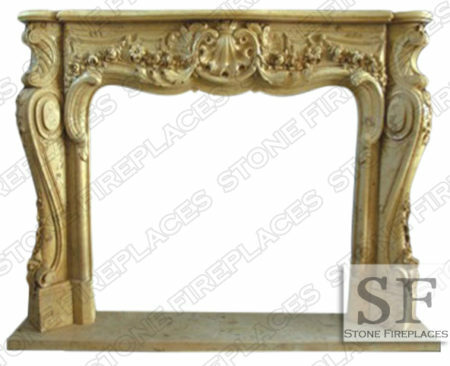 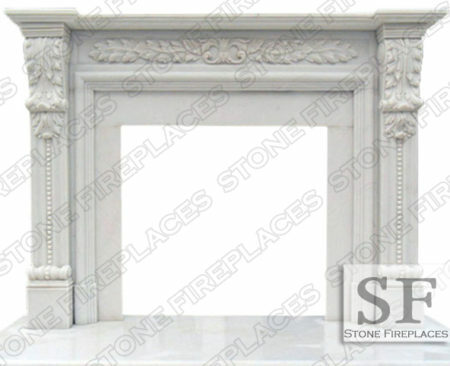 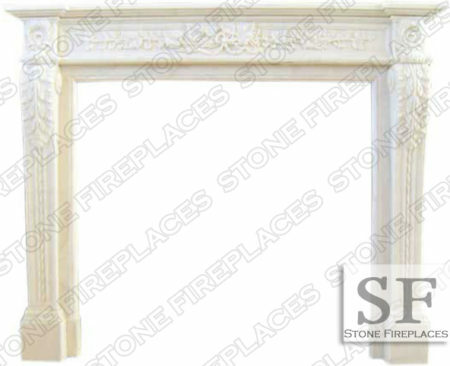 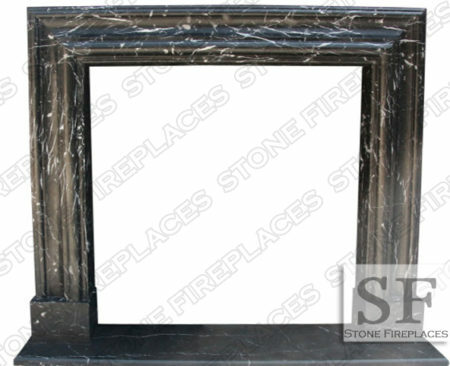 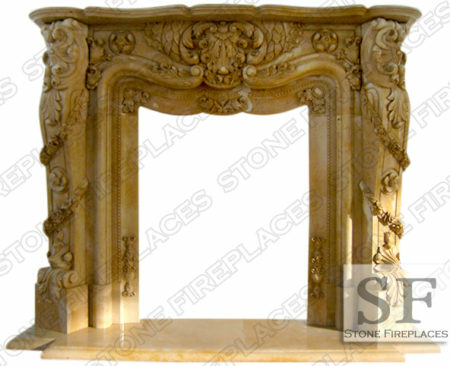 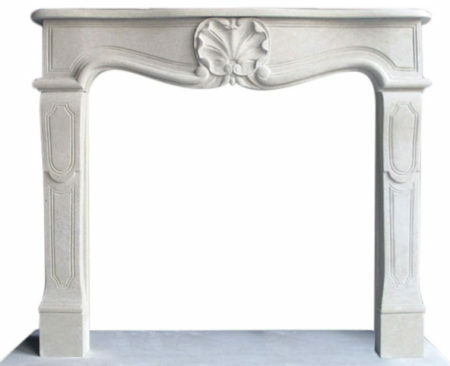 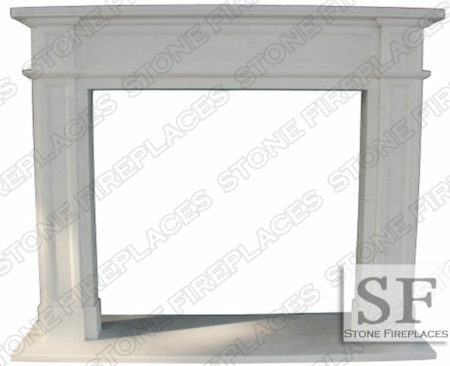 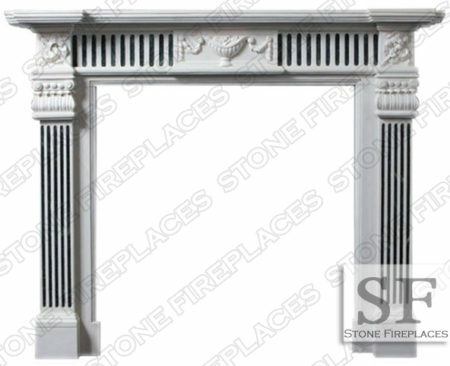 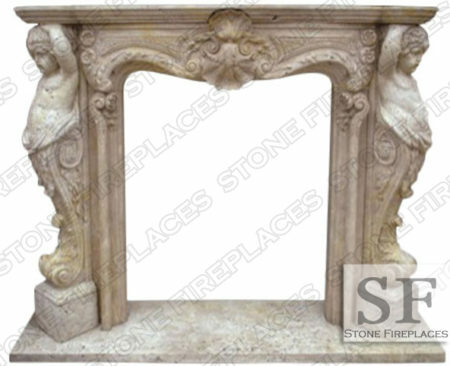 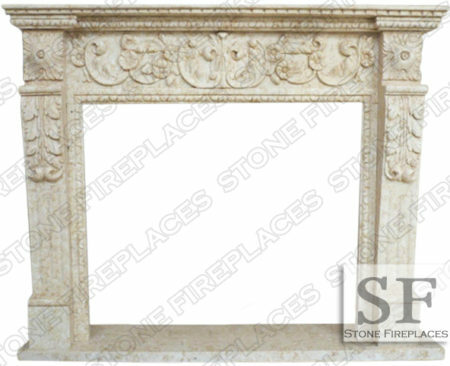 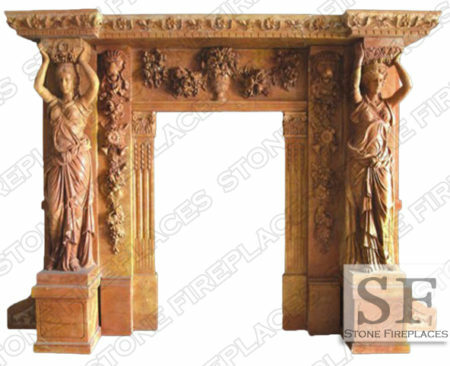 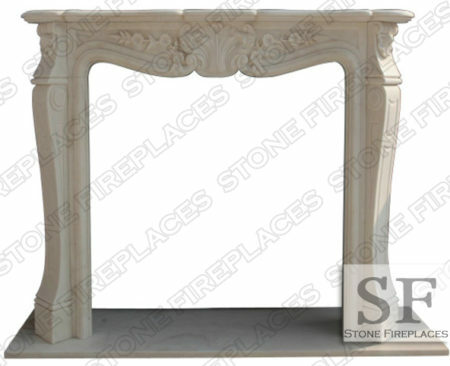 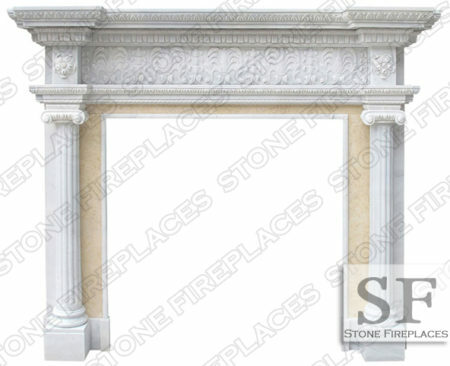 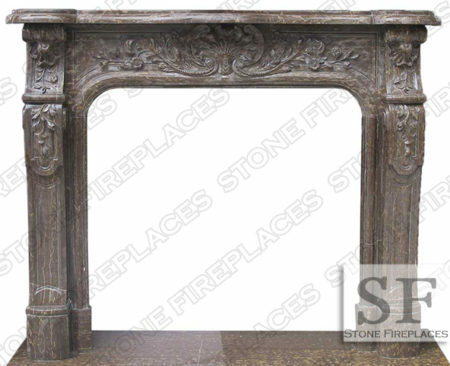 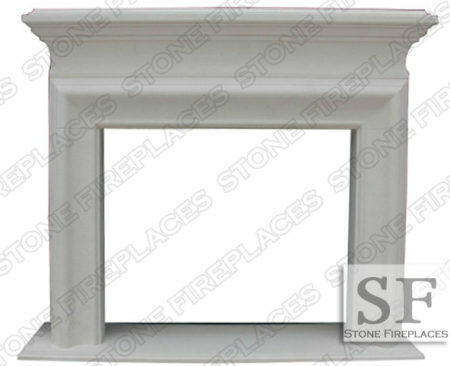 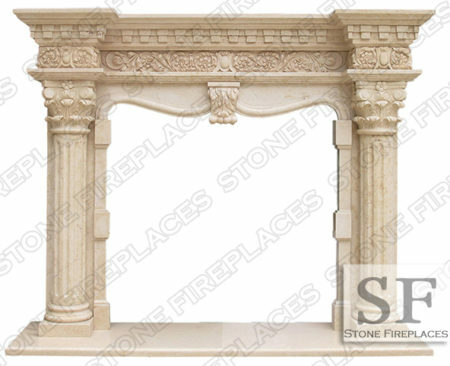 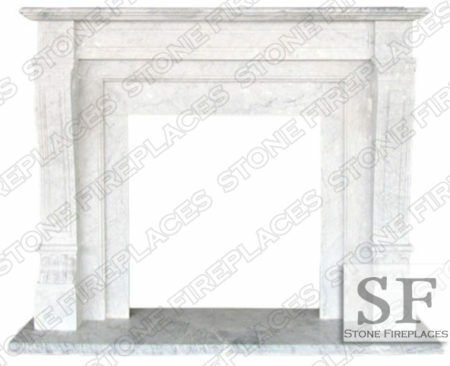 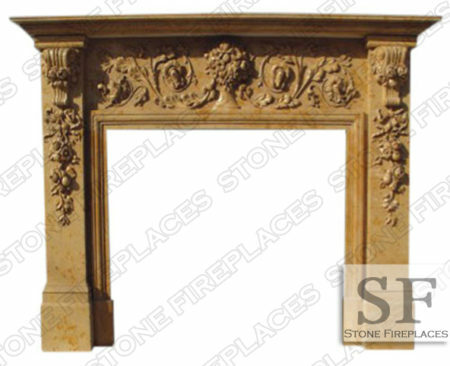 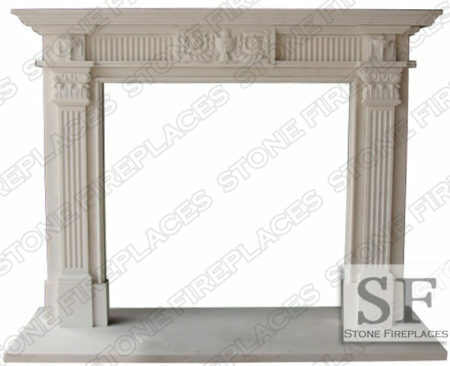 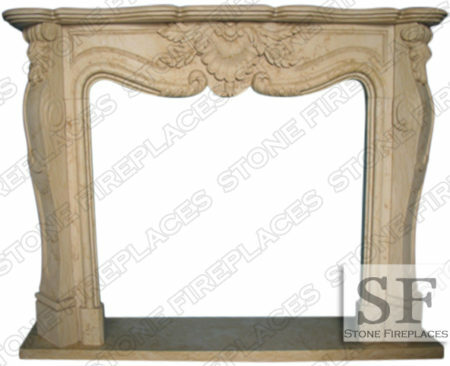 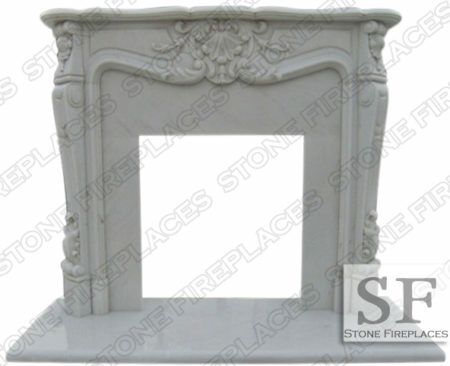 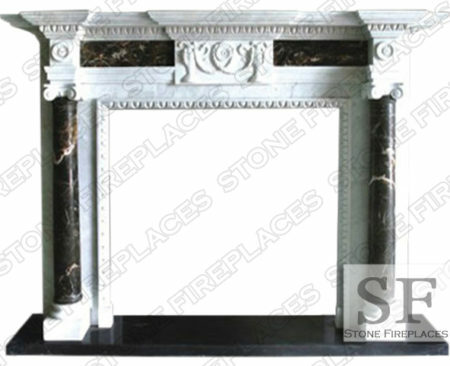 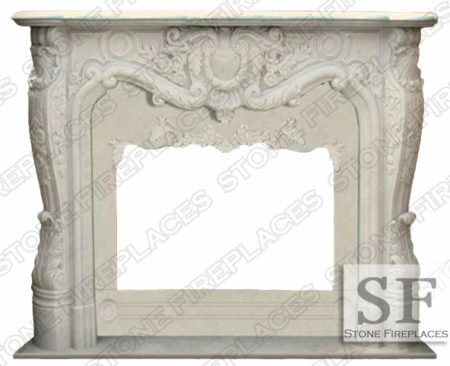 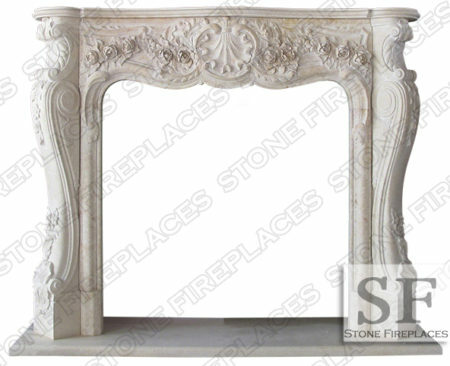 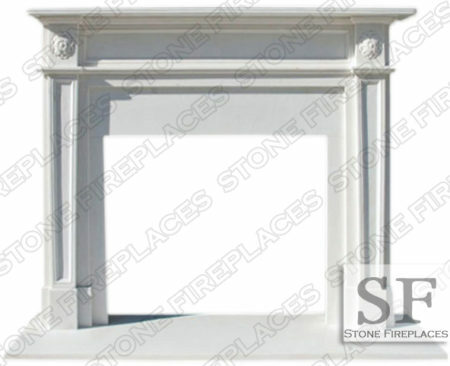 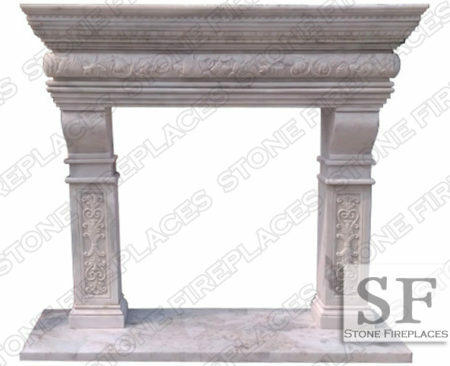 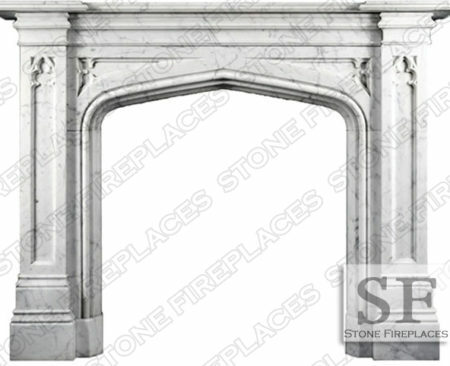 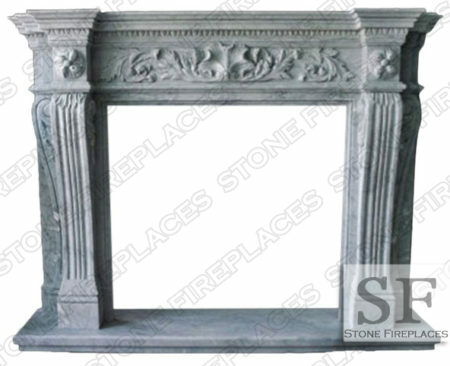 Melrose Travertine Fireplace Surround has a name as richly simple as the mantel it self. 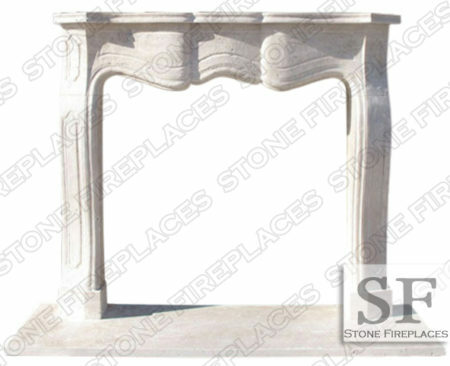 Everything from the travertine stone that was chosen for this particular surround to the curves that surf down the corbel legs is California esque. 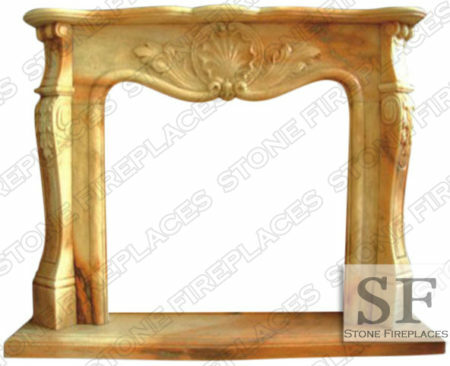 Antique and rustic finish that mixes the Art Deco LA styles with the natural traditional essence of the land. 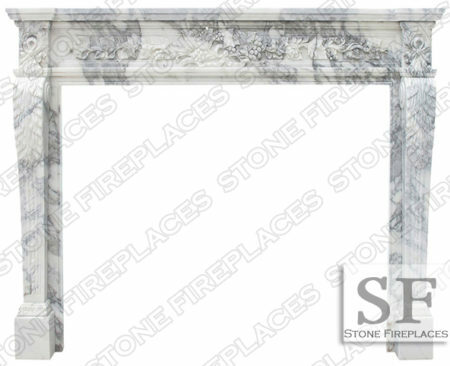 This mantel is both bold and simple. 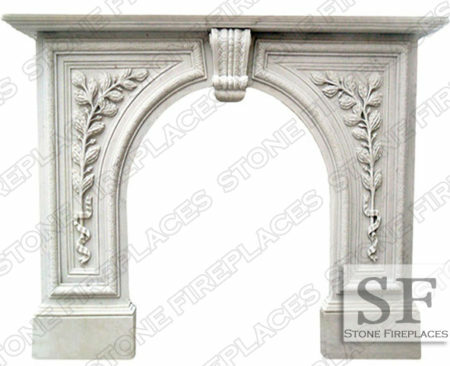 Strong yet refined with C scroll corbels that blend smoothly back. 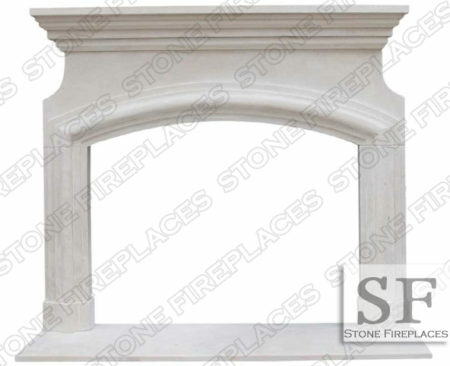 Huge mantel shelf is supported by the corbels. 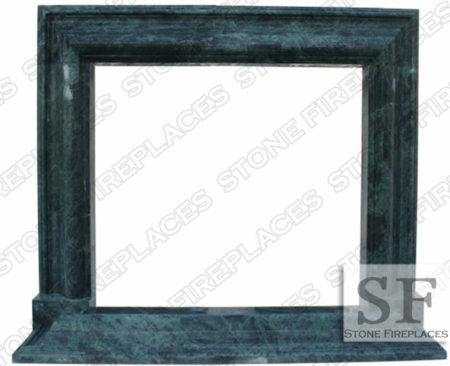 Inspired by French styling and a Spanish like stone this works great in a traditional or contemporary setting. 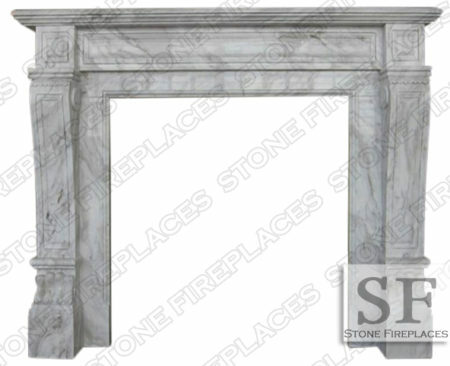 Dimensions: 70″ wide x 53″ high *custom dimensions available.